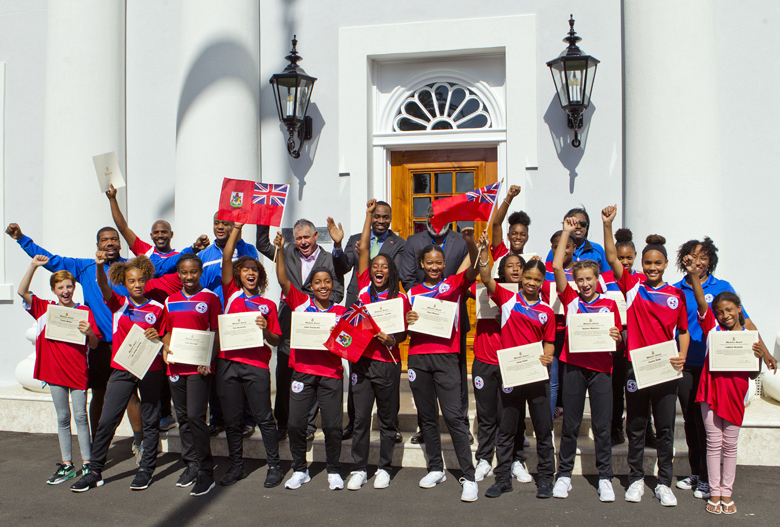 [Updated with video] Today, following a celebratory motorcade through Hamilton organized by the Department of Youth, Sport and Recreation, the U/17 Women’s National Football Team were presented with certificates of achievement by Premier David Burt and the Minister of Social Development and Sports Zane DeSilva for qualifying for the CONCACAF Finals in Nicaragua next year. 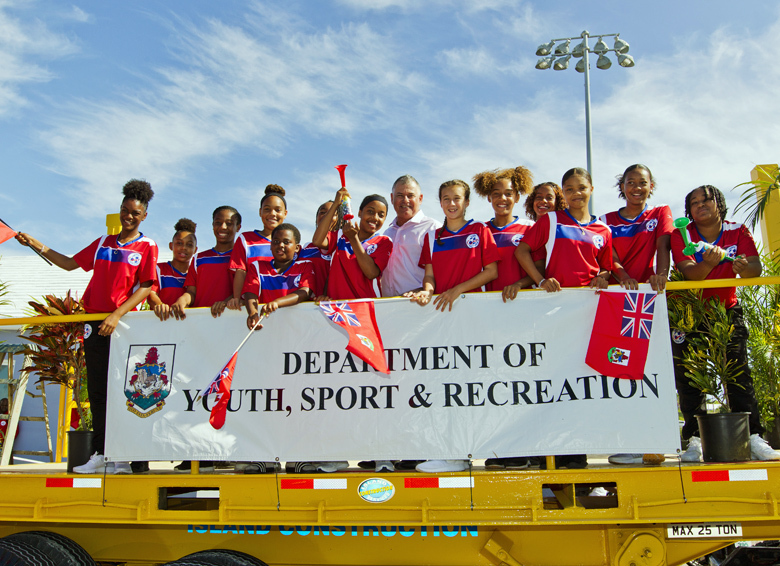 Last week the team defeated Jamaica 3 – 2 in the CONCACAF Caribbean U-17 Women’s Football Tournament in Haiti. 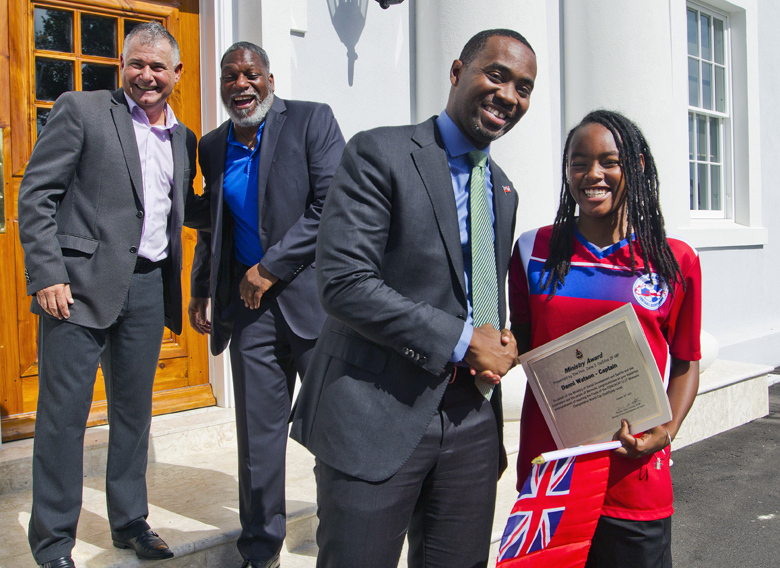 This marked the first time Bermuda’s U-17 Women’s have beaten Jamaica and have made it to the semi-finals. Earlier that same week they drew their first match against Trinidad and Tobago 2-2. 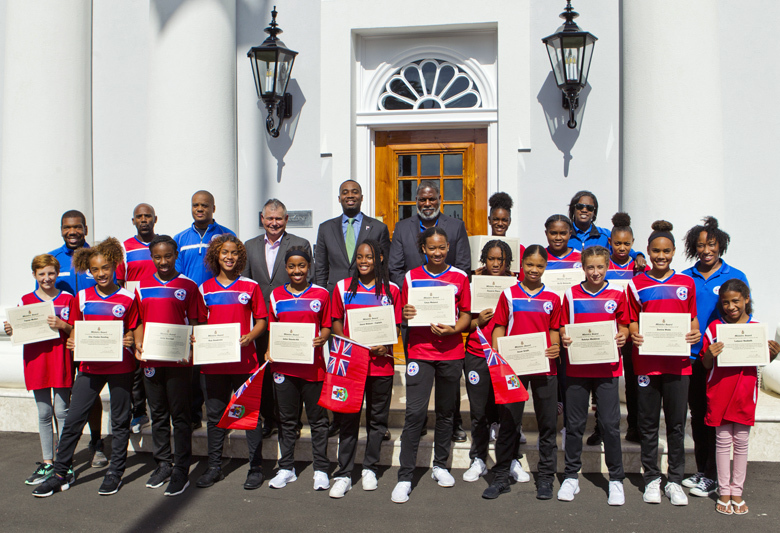 The team included Zakhari Turner, Gaiya Melakot, Danni Watson [C], Koa Goodchild, Lindsey Pacheco, Satia Burchall, Adaia Gibbons, Trinae Edwards, Emily Cabral, Jaden Masters, Leilanni Nesbeth, Nia Christopher, Jadae Steede Hill, Jazae Smith, Katelyn Madeiros, Megan Titterton, Delia Ebbin, Tianna Mullen, DaZarre Place and Zekiah Lewis. Earlier this year, the team had progressed to this round by virtue of their excellent performance at the CONCACAF Qualifiers in St Lucia, where they defeated St Lucia 3 – 0, then recorded a 5 – 0 victory over Antigua & Barbuda, and finished with a 13 – 1 hammering of Aruba.